 Chapter 55A - North Carolina Nonprofit Corporation Act. Article ARTICLE 1 - General Provisions. § 55A-1-02. Reservation of power to amend or repeal. §§ 55A-1-03 through 55A-1-19. Reserved for future codification purposes. § 55A-1-22. Filing, service, and copying fees. §§ 55A-1-22.1 through 55A-1-27: Repealed by Session Laws 2001-358, s. 7(b), effective January 1, 2002. § 55A-1-28. Certificate of existence. § 55A-1-29: Repealed by Session Laws 2001-358, s. 7(b). § 55A-1-31. Interrogatories by Secretary of State. § 55A-1-32. Penalties imposed upon corporations, officers, and directors for failure to answer interrogatories. § 55A-1-33. Information disclosed by interrogatories. §§ 55A-1-34 through 55A-1-39. Reserved for future codification purposes. §§ 55A-1-42 through 55A-1-49. Reserved for future codification purposes. §§ 55A-1-51 through 55A-1-59. Reserved for future codification purposes. § 55A-2-02. Articles of incorporation. § 55A-2-04. Reserved for future codification purposes. § 55A-2-05. Organization of corporation. § 55A-3-05. Exercise of corporate franchises not granted. § 55A-3-06. Special powers; public parks and drives and certain recreational corporations. § 55A-3-07. Certain corporations subject to Public Records Act and Open Meetings Law. §§ 55A-4-01 through 55A-4-05: Repealed by Session Laws 2001-358, s. 23, effective January 1, 2002. § 55A-5-01. Registered office and registered agent. § 55A-5-02: Repealed by Session Laws 2001-358, s. 48. § 55A-5-02.1: Transferred to § 55A-16-23 by Session Laws 2001-358, s. 48(d). §§ 55A-5-03 through 55A-5-04: Repealed by Session Laws 2001-358, s. 48(c), effective January 1, 2002. Article 6 - Members and Memberships. Article 7 - Members' Meetings and Voting; Derivative Proceedings. § 55A-7-04. Action by written consent. § 55A-7-05. Notice of meeting. § 55A-7-06. Waiver of notice. § 55A-7-08. Action by written ballot. §§ 55A-7-09 through 55A-7-19. Reserved for future codification purposes. § 55A-7-20. Members' list for meeting. § 55A-7-21. Voting entitlement generally. § 55A-7-25. Voting for directors; cumulative voting. § 55A-7-26. Other methods of electing directors. § 55A-7-27. Corporation's acceptance of votes. § 55A-7-28. Reserved for future codification purposes. § 55A-7-29. Reserved for future codification purposes. §§ 55A-7-31 through 55A-7-39. Reserved for future codification purposes. § 55A-8-01. Requirement for and duties of board. § 55A-8-02. Qualifications of directors. § 55A-8-03. Number of directors. § 55A-8-04. Election, designation, and appointment of directors. § 55A-8-05. Terms of directors generally. § 55A-8-06. Staggered terms for directors. § 55A-8-07. Resignation of directors. § 55A-8-08. Removal of directors elected by members or directors. § 55A-8-09. Removal of designated or appointed directors. § 55A-8-10. Removal of directors by judicial proceeding. § 55A-8-11. Vacancy on board. § 55A-8-12. Compensation of directors. §§ 55A-8-13 through 55A-8-19. Reserved for future codification purposes. § 55A-8-20. Regular and special meetings. § 55A-8-21. Action without meeting. § 55A-8-22. Notice of meetings. § 55A-8-23. Waiver of notice. § 55A-8-24. Quorum and voting. §§ 55A-8-26 through 55A-8-29. Reserved for future codification purposes. § 55A-8-30. General standards for directors. § 55A-8-31. Director conflict of interest. § 55A-8-32. Loans to or guaranties for directors and officers. § 55A-8-33. Liability for unlawful loans or distributions. §§ 55A-8-34 through 55A-8-39. Reserved for future codification purposes. § 55A-8-41. Duties of officers. § 55A-8-42. Standards of conduct for officers. § 55A-8-43. Resignation and removal of officers. § 55A-8-44. Contract rights of officers. §§ 55A-8-45 through 55A-8-49. Reserved for future codification purposes. § 55A-8-50. Policy statement and definitions. § 55A-8-53. Advance for expenses. § 55A-8-55. Determination and authorization of indemnification. § 55A-8-56. Indemnification of officers, employees, and agents. § 55A-8-57. Additional indemnification and insurance. § 55A-8-58. Application of Part. § 55A-8-59. Reserved for future codification purposes. § 55A-10-01. Authority to amend. § 55A-10-02. Amendment by board of directors. § 55A-10-03. Amendment by directors and members. § 55A-10-04. Class voting by members on amendments. § 55A-10-05. Articles of amendment. § 55A-10-06. Restated articles of incorporation. § 55A-10-07. Effect of amendment. §§ 55A-10-08 through 55A-10-19. Reserved for future codification purposes. § 55A-10-20. Amendment by directors. § 55A-10-21. Amendment by directors and members. § 55A-10-22. Class voting by members on amendments. §§ 55A-10-23 through 55A-10-29. Reserved for future codification purposes. § 55A-10-30. Approval by third persons. § 55A-11-01. Approval of plan of merger. § 55A-11-02. Limitations on mergers by charitable or religious corporations. § 55A-11-03. Action on plan. § 55A-11-04. Articles of merger. § 55A-11-05. Effect of merger. § 55A-11-06. Merger with foreign corporation. § 55A-11-07. Devises and gifts. § 55A-11-08. Merger with business corporation. § 55A-11-09. Merger with unincorporated entity. § 55A-11-10. Merger with certain charitable or religious corporation or hospital authority. § 55A-11A-1: Reserved for future codification purposes. § 55A-11A-2: Reserved for future codification purposes. § 55A-11A-3: Reserved for future codification purposes. § 55A-11A-4: Reserved for future codification purposes. § 55A-11A-5: Reserved for future codification purposes. § 55A-11A-6: Reserved for future codification purposes. § 55A-11A-7: Reserved for future codification purposes. § 55A-11A-8: Reserved for future codification purposes. § 55A-11A-9: Reserved for future codification purposes. § 55A-12-01. Sale of assets in regular course of activities and mortgage of assets. § 55A-12-02. Sale of assets other than in regular course of activities. § 55A-14-01. Dissolution by incorporators or directors prior to commencement of activities. § 55A-14-02. Dissolution by directors, members, and third persons. § 55A-14-03. Plan of dissolution. § 55A-14-04. Articles of dissolution. § 55A-14-05. Revocation of dissolution. § 55A-14-06. Effect of dissolution. § 55A-14-07. Known claims against dissolved corporation. § 55A-14-08. Unknown and certain other claims against dissolved corporation. § 55A-14-09. Enforcement of claims. §§ 55A-14-10 through 55A-14-19. Reserved for future codification purposes. § 55A-14-20. Grounds for administrative dissolution. § 55A-14-21. Procedure for and effect of administrative dissolution. § 55A-14-22. Reinstatement following administrative dissolution. § 55A-14-23. Appeal from denial of reinstatement. § 55A-14-24. Inapplicability of Administrative Procedure Act. §§ 55A-14-25 through 55A-14-29. Reserved for future codification purposes. § 55A-14-30. Grounds for judicial dissolution. § 55A-14-31. Procedure for judicial dissolution. § 55A-14-33. Decree of dissolution. §§ 55A-14-34 through 55A-14-39. Reserved for future codification purposes. § 55A-14-40. Disposition of amounts due to unavailable members and creditors. § 55A-14A-01. Fundamental changes in reorganization proceedings. § 55A-15-01. Authority to conduct affairs required. § 55A-15-02. Consequences of conducting affairs without authority. § 55A-15-03. Application for certificate of authority. § 55A-15-04. Amended certificate of authority. § 55A-15-05. Effect of certificate of authority. § 55A-15-06: Repealed by Session Laws 2001-358, s. 22, effective January 1, 2002. § 55A-15-07. Registered office and registered agent of foreign corporation. §§ 55A-15-08 through 55A-15-10: Repealed by Session Laws 2001-358, s. 48(c), effective January 1, 2002. §§ 55A-15-11 through 55A-15-19. Reserved for future codification purposes. § 55A-15-20. Withdrawal of foreign corporation. § 55A-15-21. Withdrawal of foreign corporation by reason of a merger, consolidation, or conversion. §§ 55A-15-22 through 55A-15-29. Reserved for future codification purposes. § 55A-15-30. Grounds for revocation. § 55A-15-31. Procedure and effect of revocation. § 55A-15-32. Appeal from revocation. § 55A-15-33. Inapplicability of Administrative Procedure Act. § 55A-16-02. Inspection of records by members. § 55A-16-03. Scope of inspection rights. § 55A-16-05. Limitations on use of membership list. §§ 55A-16-06 through 55A-16-19. Reserved for future codification purposes. § 55A-16-20. Financial statements for members. § 55A-16-21. Notice of indemnification to members. § 55A-16-22: Repealed by Session Laws 1995, c. 539, s. 8. § 55A-16-23. Principal office address. § 55A-16-24. Financial statements for the public. § 55A-17-01. Applicability of Chapter. § 55A-17-02. Certain religious, etc., associations deemed incorporated. § 55A-17-05. Validation of amendments to corporate charters extending corporate existence; limitation of actions; intent.